Mission & History - Longview - An active retirement and assisted living community. To develop and operate residential living communities to provide older adults with affordable high quality housing, services and continuing care options that enhance quality of life, independence, health, safety, security and personal growth while preserving individual rights to privacy, dignity and respect. The original Ithacare Center, circa 1976. Longview started as collaboration between Ithaca College, Cornell University, the City of Ithaca, private individuals and community leaders. 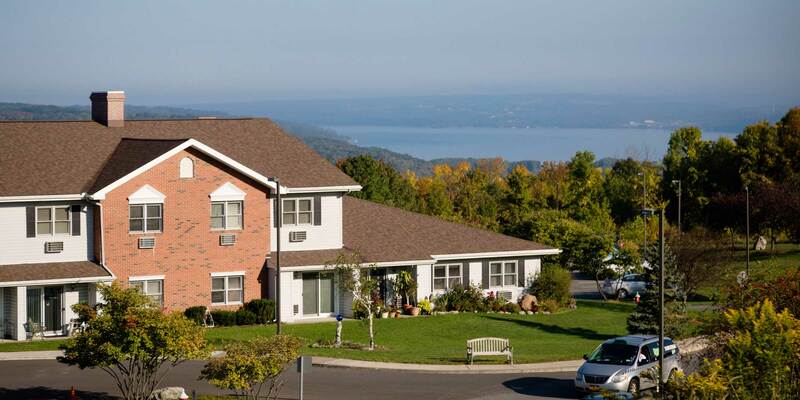 Designed as a unique home for frail older adults, it was conceived as a special place, a non-institutional home where quality of life and continued care was the focus. 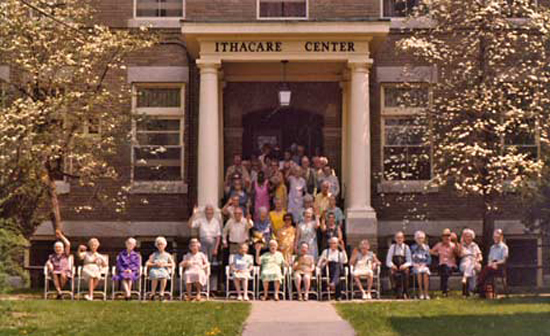 First called Ithacare Center, this not-for-profit organization housed its first residents in the renovated Tompkins County Hospital in 1974. From the beginning, Ithacare embraced its mission. At first we weren’t sure if we could make our idea a reality. At our 5th year anniversary we knew we were well underway, and when we started to outgrow our facility in the early 90’s, we realized our idea had become a reality. Our new and bigger facility, known as Longview, an Ithacare Community, opened its doors in November, 1998. At Longview we were able to expand our mission and range of housing options. We now serve a broader segment of the older adult population, providing housing for the frail elderly in our 60 assisted living suites, and housing for our independent, healthy older adults in 100 studio, one and two bedroom apartments. Activities were enhanced with a greenhouse, a larger library, a large auditorium, extensive grounds, a swimming pool, an exercise room and walking trails through the woods that surround our buildings. Our new facility allows us to continue the Longview tradition of full and expansive lives for all who reside under our roof. Today our vision continues to expand with our Garden Level suites providing Enhanced Assisted Living care, and the most recent addition of Patio Homes.